The Creators Blog is written by Zorg, Will, Lynx, Bongo, rollin340 and Aldo. 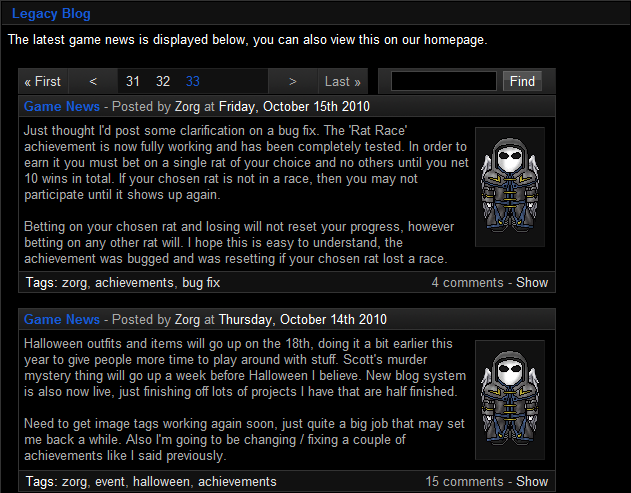 Offering news about upcoming updates, bug fixes, and other related (and sometimes unrelated) topics. It can be found under Quick Data on the Main Page.